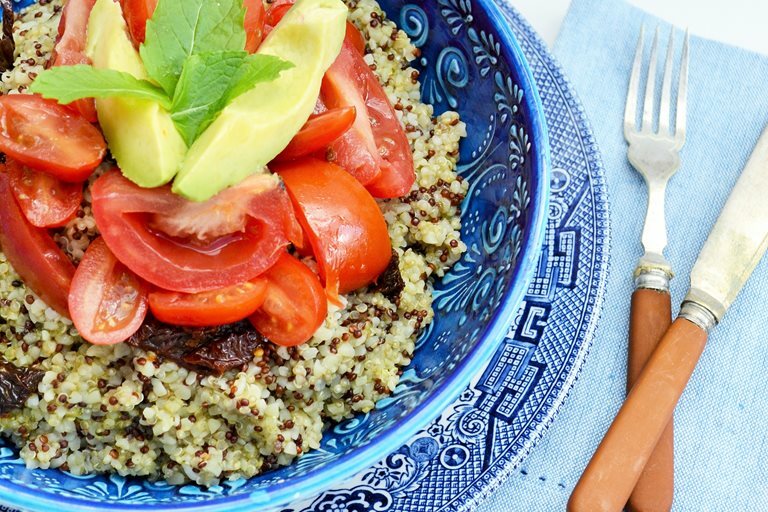 Jacqueline shares her colourful triple tomato tabbouleh, a light salad made with bulgur wheat and quinoa - a healthy lunch perfect for sunny weather! Now the weather is improving and the nights are lighter, I’m starting to shrug of my winter clothes and the comfort food I enjoyed so much during those long, dark months. Salads are what I’m craving now. Lots of bright colours and fresh flavours with the lightest of dressings. My current favourite is this Triple Tomato Tabbouleh. 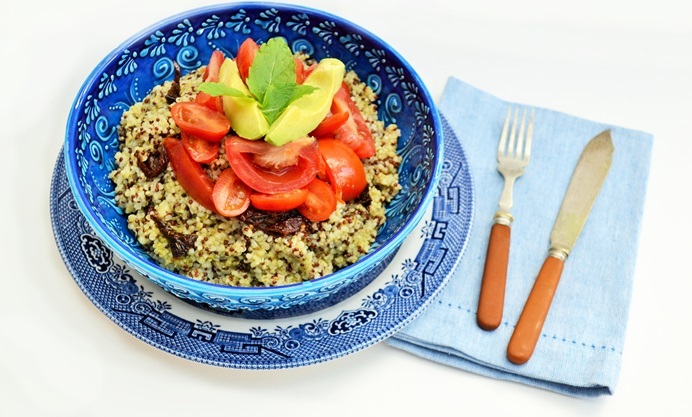 It’s a twist on a classic tabbouleh which is usually made from bulgur wheat, red onion, tomatoes and mint. I’ve mixed my base of bulgur wheat with couscous to perk it up, cooked my grains in stock for extra flavour and added three types of tomato before topping with some creamy ripe avocado. This salad makes a great dinner when served with some fresh hummus and some crusty bread, but it’s also perfect for packed lunches and picnics too.